Dub be good for you. 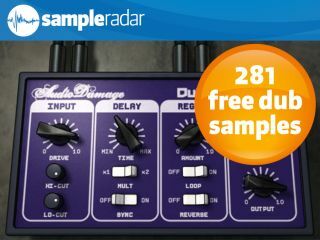 Welcome to another edition of SampleRadar, MusicRadar's regular giveaway of pro-quality, royalty-free samples. There's no catch: the sounds that you can download from this page are completely free, as you'll discover if you click on the links below. Our subject this week is dub, the throbbing drum- and bass-heavy genre that grew out of reggae. Thanks in no small part to its influence on the 'so hot right now' dubstep sound, it's a style that's recently come back into sharp focus. In fact, even if you're not a dub producer, you'll probably find that you can pilfer something from the genre, so make sure you take these sounds for a spin. The samples are split across four construction kits, each of which contains drum, bass, guitar, keyboard and other loops, plus a selection of drum hits. The dub kits are supplied as separate zip files, so you'll need to extract them before you can see the samples. Enjoy!